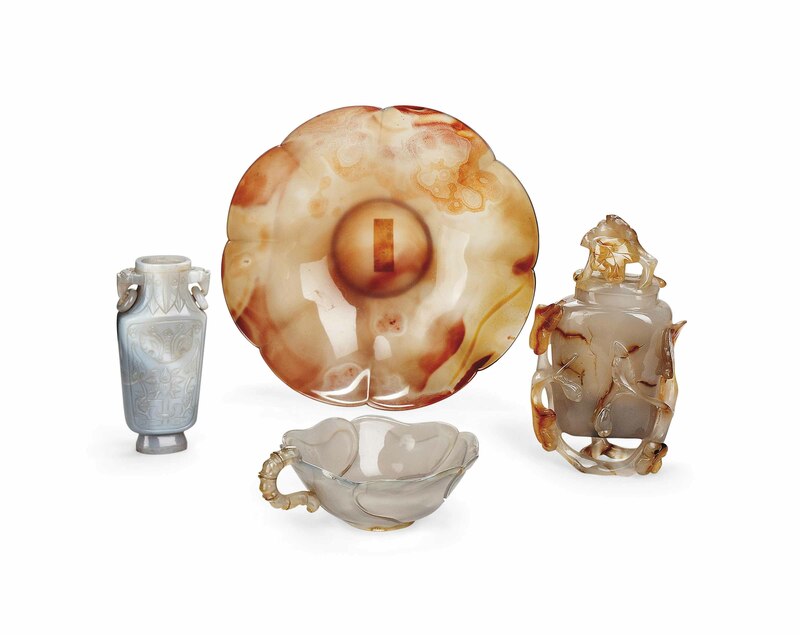 The group comprises a vase carved and pierced with flowering vines, the stone is of a pale grey and caramel tone; a flattened baluster vase carved with a stylised lotus and bat, the stone is of a lavender tone with honey inclusions; a cup carved with swirling flutes and wavy rim, the stone is of a translucent lavender and honey tone; and a lobed bowl of a translucent honey and dark caramel tone. The bowl 7¼ in. (18.5 cm.) diam.